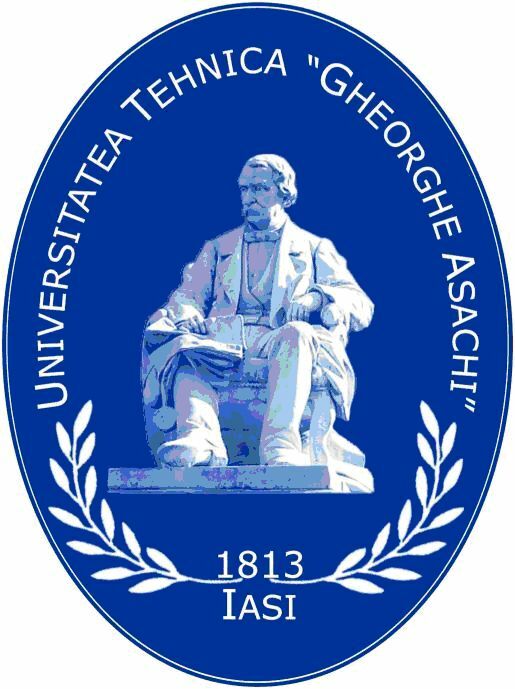 Doctor in inginerie chimica: 1996 – Universitatea Universitatea Tehnica “Gheorghe Asachi ” Iasi. 1 .10.1999 - 30.09.2000 –postdoctoral UNESCO fellow, Tokyo Institute of Technology, Japonia (in domeniul: chimia materialelor avansate, adviser Prof. Hiroo Niiyama). 1.10.2003 -1.06.2004– ENSCM, Ecole Nationale Superieure de Chimie de Montpellier, Lab. Mat. Catalytiques et Catalyse, Montpellier, France, EGIDE grant (domeniul: materiale noi cu aplicatii catalitice in reducerea poluarii cu oxizi de azot). 2007 - in prezent - profesor. “The 35th International Course for the Advanced Research in Chemistry and Chemical Engineering” UNESCO Diploma Award – grant obtinut prin competitie internationala 214 candidati - 14 selectati. Premiul I Gala Premiilor in Educatie 2009, - categoria cercetatorul anului. Premiul “Gheorghe Spacu” al Academiei Romane acordat in anul 2009. Membru in Juriul Concursului International pentru studenti “Young Talents in Natural Science”, Sofia 2008. 2000 - Medalia Tokyo Institute of Technology pentru recunoasterea activitatii de cercetare desfasurata la a universitatea japoneza. 2003-2004 – EGIDE grant of French Environmental Agency. 2005 – Centennial Memorial Award of Tokyo Institute of Technology for foreign researchers. - Tokyo Institute of Technology, Japonia, Iulie 2009. - Tokyo Institute of Technology, Japonia, Septembrie 2007. - Materiale nanostructurate poroase (e.g. : argile, zeoliti, carbon), sinteza, textura cu aplicatii in medicina si cataliza. - Ansamblelor nanostructurate: design, sinteza si caracterizare texturala. - Nanostructuri netoxice folosite in procese de depoluare ale apei si aerului. - Expert-Evaluator al Comunitatii Europene pentru proiecte FP6/FP7. - Membru al Consiliului Cercetarii Stiintifice din Invatamantul Superior – CNCSIS din anul 2008. - Grant de cercetare acordat de Academia Romana, 2005-2006, “Noi nanostructuri mesoporoase de tip argile anionice substituite cu proprietati magnetice si aplicatii in biotehnologie”. - Membru American Chemical Society (ACS). - 120 de citari in reviste cotate ISI cu factori de impact,in perioada 2008-2010, conform bazei de date SCOPUS. Capitolul: Nanostructured assemblies of mesoporous matrices of layered double hydroxides – nanoparticles of iron oxides”. In cartea cu titlul: "Mesoporous Materials: Properties, Preparation and Applications" NOVA SCIENCE PUBLISHER, New York, USA, ISBN-10 1607410516, editor Lynn T Burness. JOURNAL OF NANOSCIENCE AND NANOTECHNOLOGY (AMERICAN SCIENTIFIC PUBLISHER) 2010, 10, (4), 2880-2884. (Impact Factor=2.194). JOURNAL OF NANOPRTICLE RESEARCH (SPRINGER PRESS), in press, publicat online DOI 10.1007/s11051-010-9899-0 (Impact Factor=2.299). INTERNATIONAL JOURNAL OF ANTIMICROBIAL AGENTS, (ELSEVIER PRESS), 34 (2009) 534–539. (Impact Factor=3.067). 4. Gabriela Carja, (autor de corespondenta) Kameshima, Y., Okada, K.
MICROPOROUS AND MESOPOROUS MATERIALS (ELSEVIER PRESS), 115, 2008, 541-547. (ISI IMPACT FACTOR 2.796). MICROPOROUS AND MESOPOROUS MATERIALS (ELSEVIER PRESS), 2001, 47 (2/3) 275-284. (ISI IMPACT FACTOR 3.355). 6. Gabriela Carja (autor de corespondenta), Nakamura R., Niiyama H.
APPLIED CATALYSIS A (ELSEVIER PRESS), 2002,136, 91-102. (ISI IMPACT FACTOR 2.258). 7. Gabriela Carja (autor de corespondenta), Nakamura R., Aida T., Niiyama H.
JOURNAL OF CATALYSIS (ACADEMIC PRESS), 2003, 218, ISSUE 1, 2003, 104-110. (ISI IMPACT FACTOR 3.793). 8. Gabriela Carja (autor de corespondenta), Delahay G.
APPLIED CATALYSIS B (ELSEVIER PRESS), 2004, 59-66, VOL 47, NO.1. (ISI IMPACT FACTOR 3.643). Fe–Ce-ZSM-5 a new catalyst of outstanding properties in the selective catalytic reduction of NO with NH3. CHEMICAL COMMUNICATIONS, (ROYAL SOCIETY PRESS), 2004, (12), 1404 – 1405. (ISIIMPACT FACTOR 4.038). 10. Gabriela Carja (autor de corespondenta), Niiyama H.
MATERIALS LETTERS (ELSEVIER PRESS), 2005, VOL. 59, 3078- 3080. (ISI IMPACT FACTOR 1.84). 11. Gabriela Carja (autor de corespondenta), Nakamura R., Niiyama H.
MICROPOROUS AND MESOPOROUS MATERIALS (ELSEVIER PRESS), 2005, VOL. 83, 94-100. (ISI IMPACT FACTOR 3.355). 12. Ciobanu G., Gabriela Carja, Apostolescu G., Taraboanta I.
SUPERLATTICES AND MICROSTRUCTURES (ELSEVIER PRESS), 39, 2006, 328 – 333. (ISI IMPACT FACTOR 0.431). JOURNAL OF MAGNETISM AND MAGNETIC MATERIALS (Elsevier Science Press), 311 (2007) 26–30. (ISI IMPACT FACTOR 1.283). 14. Gabriela Carja (autor de corespondenta), Obata H., Kameshima Y., Okada K.
MICROPOROUS AND MESOPOROUS MATERIALS (ELSEVIER PRESS), 98, 2007, 150-155. (ISI IMPACT FACTOR 2.796). 15. 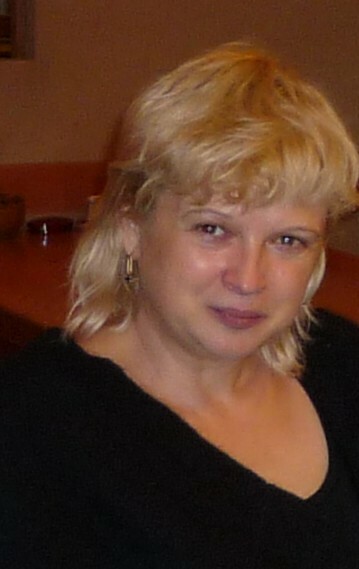 Gabriela Carja (autor de corespondenta), Kameshima Y., Madhosoodana C.
APPLIED CATALYSIS B (ELSEVIER PRESS), 73, 2007, 60-64. (ISI IMPACT FACTOR 3.643). 16. Gabriela Carja (autor de corespondenta), Niiyama H., Ciobanu G., Aida T.
17. Ciobanu G., Gabriela Carja, Ciobanu O. Surface and Coatings Technology (ELSEVIER PRESS), 202, 2008, 2467-2470. (ISI IMPACT FACTOR 1.559). DESALINATION (ELSEVIER PRESS), 223, 2008, 243–248. (ISI IMPACT FACTOR 0.917). MICROPOROUS AND MESOPOROUS MATERIALS (ELSEVIER PRESS), 115, 2008, 61–66; ISSN: 1387-1811; (ISI IMPACT FACTOR 2.796). 22. Odochian, L., Mocanu, A.M., Moldoveanu, C., Gabriela, Carja, Oniscu, C.
JOURNAL OF THERMAL ANALYSIS AND CALORIMETRY, (ELSEVIER PRESS) 94, 2008, 329-334. (ISI IMPACT FACTOR 2.4). 23. Gabriela Carja, Kameshima, Y., Ciobanu, G., Chiriac, H., Okada, K.
Micron (ELSEVIER PRESS), 40, 2009, 147-150. (ISI IMPACT FACTOR 1.4). 24. Ciobanu, G., Gabriela Carja, Ciobanu, O., Sandu, I., Sandu, A.
Micron (ELSEVIER PRESS), 40, 2009, 143-146. (ISI IMPACT FACTOR 1.4). Revista de Chimie 2010, 61 (1), 27-30. De Morais Batista, A.H., de Sousa, F.F., Honorato, S.B., Ayala, A.P., Filho, J.M., de Sousa, F.W., Pinheiro, A.N., (...), Oliveira, A.C., 2010, Journal of Molecular Catalysis A: Chemical 315 (1), pp. 86-98. Chen, Q., Shi, S., Liu, X., Jin, L., Wei, M., 2009, Chemical Engineering Journal 153 (1-3), pp. 175-182. Hwang, S., Lee, J., Seo, J.G., Park, D.R., Youn, M.H., Jung, J.C., Lee, S.-B., Song, I.K., 2009, Catalysis Letters 132 (3-4), pp. 410-416. Freire, R.M., de Sousa, F.F., Pinheiro, A.L., Longhinotti, E., Filho, J.M., Oliveira, A.C., Freire, P.d.T.C., (...), Oliveira, A.C., 2009, Applied Catalysis A: General 359 (1-2), pp. 165-179. Gonzalez-Arellano, C., Luque, R., MacQuarrie, D.J., 2009, Chemical Communications (11), pp. 1410-1412. Filimoshkin, A.G., Kuchevskaya, A.S., Berezina, E.M., Ogorodnikov, V.D., 2009, Express Polymer Letters 3 (1), pp. 13-18. Cheng, X., Huang, X., Wang, X., Sun, D., 2010, Journal of Hazardous Materials 177 (1-3), pp. 516-523. Triantafyllidis, K.S., Peleka, E.N., Komvokis, V.G., Mavros, P.P., 2010, Journal of Colloid and Interface Science 342 (2), pp. 427-436. Cheng, X., Huang, X., Wang, X., Zhao, B., Chen, A., Sun, D., 2009, Journal of Hazardous Materials 169 (1-3), pp. 958-964. Prasanna, S.V., Kamath, P.V., 2009, Journal of Colloid and Interface Science 331 (2), pp. 439-445. Zhang, J.-P., Wang, Q., Xie, X.-L., Li, X., Wang, A.-Q., 2010, Journal of Biomedical Materials Research – Part B Applied Biomaterials 92 (1), pp. 205-214. Viseras, C., Aguzzi, C., Cerezo, P., Bedmar, M.C., 2008, Materials Science and Technology 24 (9), pp. 1020-1026. Junhua, L.I., Ronghai, Z.H.U., Cheng, Y., Lambert, C.K., Yang, R.T., 2010 Environmental Science and Technology 44 (5), pp. 1799-1805. Hua, P., Qingfa, S., Jie, C., Qing, Y., Yiting, L., Yao, S., 2009, Environmental Science and Technology 43 (24), pp. 9348-9353. Chen, L., Li, J., Ge, M., 2009, Journal of Physical Chemistry C 113 (50), pp. 21177-21184. Wei, Z., Zeng, G., Xie, Z., 2009, Energy and Fuels 23 (6), pp. 2947-2951. Hou, Y., Huang, Z., Guo, S., 2009, Catalysis Communications 10 (11), pp. 1538-1541. Jiang, B., Liu, Y., Wu, Z., 2009, Journal of Hazardous Materials 162 (2-3), pp. 1249-1254. Wu, Z., Jin, R., Wang, H., Liu, Y., 2009, Catalysis Communications 10 (6), pp. 935-939. Zhou, T., Liu, S., Tang, M., Chen, C., Xu, Y., Wu, J., 2009, Kuei Suan Jen Hsueh Pao, Journal of the Chinese Ceramic Society 37 (2), pp. 317-324. Khan, E., Li, M., Huang, C.P., 2008, Water Environment Research 80 (10), pp. 1654-1708. Wu, Z., Jin, R., Liu, Y., Wang, H., 2008, Catalysis Communications 9 (13), pp. 2217-2220. Wu, Z., Jiang, B., Liu, Y., 2008, Applied Catalysis B: Environmental 79 (4), pp. 347-355. Ay, A.N., Zümreoglu-Karan, B., Temel, A., Rives, V., 2009, Inorganic Chemistry 48 (18), pp. 8871-8877. Wang, J., Liu, Q., Zhang, G., Li, Z., Yang, P., Jing, X., Zhang, M., (...), Jiang, Z., 2009, Solid State Sciences 11 (9), pp. 1597-1601. Zhang, H., Pan, D., Duan, X., 2009, Journal of Physical Chemistry C 113 (28), pp. 12140-12148. Zhang, H., Pan, D., Zou, K., He, J., Duan, X., 2009, Journal of Materials Chemistry 19 (19), pp. 3069-3077. Isupov, V.P., Chupakhina, L.E., Mitrofanova, R.P., Pavlyukhin, Yu.T., 2009, Russian Journal of Inorganic Chemistry 54 (2), pp. 204-210. Berber, M.R., Minagawa, K., Katoh, M., Mori, T., Tanaka, M., 2008, European Journal of Pharmaceutical Sciences 35 (4), pp. 354-360. Wang, J., You, J., Yang, P., Zhong, C., Li, Z., Zhang, M., Jing, X., 2008, Materials Science- Poland 26 (3), pp. 591-599. Wang, J., You, J., Li, Z., Yang, P., Jing, X., Zhang, M., 2008, Nanoscale Research Letters 3 (9), pp. 338-342. Brei, V.V., Melezhyk, O.V., Starukh, G.M., Oranskaya, E.I., Mutovkin, P.A., 2008, Microporous and Mesoporous Materials 113 (1-3), pp. 411-417. Gunawan, P., Xu, R., 2008, Journal of Materials Chemistry 18 (18), pp. 2112- 2120. Mokhtar, M., Basahel, S.N., Al-Angary, Y.O., 2010, Journal of Alloys and Compounds 493 (1-2), pp. 376-384. Grover, K., Komarneni, S., Katsuki, H., 2009, Water Research 43 (15), pp. 3884-3890. Chmielewska, E., Peterlik H., 2009, Research Journal of Chemistry and Environment 13 (2), pp. 79-83. Goh, K.-H., Lim, T.-T., Dong, Z., 2008, Water Research 42 (6-7), pp. 1343-1368. Carriazo, D., del Arco, M., Martín, C., Rives, V., 2007, Applied Clay Science 37 (3-4), pp. 231-239. Liu, F., He, H., Ding, Y., Zhang, C., 2009, Applied Catalysis B: Environmental 93 (1-2), pp. 194-204. Li, Y., Cheng, H., Li, D.-Y., Qin, Y.-S., Wang, S.-D., 2008, Ranliao Huaxue Xuebao/Journal of Fuel Chemistry and Technology 36 (6), pp. 762-766. Xia, H., Sun, K., Fan, F., Sun, K., Su, W., Feng, Z., Ying, P., Li, C., 2008, Journal of Catalysis 259 (2), pp. 269-275. Liu, F., He, H., Zhang, C., 2008, Chemical Communications (17), pp. 2043-2045. Li, Y., Cheng, H., Li, D., Qin, Y., Xie, Y., Wang, S., 2008, Chemical Communications (12), pp. 1470-1472. Krishna, K., Makkee, M., 2006, Catalysis Letters 106 (3-4), pp. 183-193. Liu, Z., Ihl Woo, S., 2006, Catalysis Reviews - Science and Engineering 48 (1), pp. 43-89. Schwidder, M., Kumar, M.S., Klementiev, K., Pohl, M.M., Brückner, A., Grünert, W., 2005, Journal of Catalysis 231 (2), pp. 314-330. Wang, H., Fan, G., Zheng, C., Xiang, X., Li, F., 2010, Industrial and Engineering Chemistry Research 49 (6), pp. 2759-2767. Othmana, M.R., Fernandoa, W.J.N., Kimb, J., 2009, Applied Organometallic Chemistry 23 (10), pp. 403-408. Zhao, H., Bennici, S., Shen, J., Auroux, A., 2009, Applied Catalysis A: General 356 (2), pp. 121-128. Hosni, K., Srasra, E., 2009, Applied Clay Science 43 (3-4), pp. 415-419. Xiang, X., Zhang, L., Hima, H.I., Li, F., Evans, D.G., 2009, Applied Clay Science 42 (3-4), pp. 405-409. De Martínez-Ortiz, M.J., Lima, E., Lara, V., Vivar, J.M., 2008, Langmuir 24 (16), pp. 8904-8911. Liu, Z.-H., Gu, X.-H., Zhang, Z., Wang, D., Yin, C., Shen, X.-Y., 2008, Key Engineering Materials 368-372 PART 2, pp. 1820-1822. Xiang, X., Hima, H.I., Wang, H., Li, F., 2008, Chemistry of Materials 20 (3), pp. 1173-1182. Angelescu, E., Zǎvoianu, R., Pavel, O.D., Bîrjega, R., Angelescu, A., 2007, Revista de Chimie 58 (11), pp. 1104-1111. Mohamed, M.M., Bayoumy, W.A., Khairy, M., Mousa, M.A., 2007, Microporous and Mesoporous Materials 103 (1-3), pp. 174-183. Intissar, M., Malherbe, F., Prévot, V., Leroux, F., 2006, Journal of Colloid and Interface Science 299 (2), pp. 747-753. Bîrjega, R., Pavel, O.D., Costentin, G., Che, M., Angelescu, E., 2005, Applied Catalysis A: General 288 (1-2), pp. 185-193. Angelescu, E., Bîrjega, R., Pavel, O.D., Che, M., Costentin, G., Popoiu, S., 2005, Studies in Surface Science and Catalysis 156, pp. 257-264. Carja, G., Dranca, S., Ciobanu, G., Husanu, E., Balasanian, I., 2009, Materials Science- Poland 27 (3), pp. 909-917. Li, W., Li, X., Feng, J., 2009, Catalysis Letters 130 (3-4), pp. 575-582. Reddy, B.M., Lee, S.-C., Han, D.-S., Park, S.-E., 2009, Applied Catalysis B: Environmental 87 (3-4), pp. 230-238. Chen, S., Qin, Z., Sun, A., Wang, J., 2009, Cuihua Xuebao / Chinese Journal of Catalysis 30 (4), pp. 359-364. Qiao, Y., Miao, C., Yue, Y., Xie, Z., Yang, W., Hua, W., Gao, Z., 2009, Microporous and Mesoporous Materials 119 (1-3), pp. 150-157. Reddy, B.M., Jin, H., Han, D.-S., Park, S.-E., 2008, Catalysis Letters 124 (3-4), pp. 357-363. Reddy, B.M., Han, D.-S., Jiang, N., Park, S.-E., 2008, Catalysis Surveys from Asia 12 (1), pp. 56-69. Hong, D.-Y., Vislovskiy, V.P., Hwang, Y.K., Jhung, S.H., Chang, J.-S., 2008, Catalysis Today 131 (1-4), pp. 140-145. Chang, J.-S., Hong, D.-Y., Vislovskiy, V.P., Park, S.-E., 2007, Catalysis Surveys from Asia 11 (1-2), pp. 59-69. 11. Preparation of supported metal catalysts starting from hydrotalcites as the precursors and their improvements by adopting "memory effect"
Takehira, K., Shishido, T., 2007, Catalysis Surveys from Asia 11 (1-2), pp. 1-30. Wegrzyn, A., Rafalska-Łasocha, A., Dudek, B., Dziembaj, R., 2006, Catalysis Today 116 (1), pp. 74-81. Hong, D.-Y., Vislovskiy, V.P., Park, Y.-H., Chang, J.-S., 2006, Bulletin of the Korean Chemical Society 27 (5), pp. 789-792. Chen, S., Qin, Z., Xu, X., Wang, J., 2006, Applied Catalysis A: General 302 (2), pp. 185-192. Chen, S., Qin, Z., Sun, A., Wang, J., 2006, Journal of Natural Gas Chemistry 15 (1), pp. 11-20. Hong, D.-Y., Chang, J.-S., Vislovskiy, V.P., Park, S.-E., Park, Y.-H., Yoo, J.S., 2006, Chemistry Letters 35 (1), pp. 28-29. Hong, D.-Y., Vislovskiy, V.P., Park, S.-E., Park, M.-S., Yoo, J.S., Chang, J.-S., 2005, Bulletin of the Korean Chemical Society 26 (11), pp. 1743-1748. Crivello, M., Pérez, C., Herrero, E., Ghione, G., Casuscelli, S., Rodríguez-Castellón, E., 2005, Catalysis Today 107-108, pp. 215-222. Ohishi, Y., Kawabata, T., Shishido, T., Takaki, K., Zhang, Q., Wang, Y., Nomura, K., Takehira, K., 2005, Applied Catalysis A: General 288 (1-2), pp. 220-231. Ohishi, Y., Kawabata, T., Shishido, T., Takaki, K., Zhang, Q., Wang, Y., Takehira, K., 2005, Journal of Molecular Catalysis A: Chemical 230 (1-2), pp. 49-58. Holgado, M.J., Román, S.S., Malet, P., Rives, V., 2005, Materials Chemistry and Physics 89 (1), pp. 49-55. Ye, X., Ma, N., Hua, W., Yue, Y., Miao, C., Xie, Z., Gao, Z., 2004, Journal of Molecular Catalysis A: Chemical 217 (1-2), pp. 103-108. Namitharan, K., Kumarraja, M., Pitchumani, K., 2009, Chemistry - A European Journal 15 (12), pp. 2755-2758. Cheng, W.P., Yang, J.G., He, M.Y., 2009, Catalysis Communications 10 (6), pp. 784-787. Shen, Y., Wu, J., Tang, Y., Zhang, H., Wang, L., Liu, C., Zhang, Z., 2009, Kuei Suan Jen Hsueh Pao/ Journal of the Chinese Ceramic Society 37 (2), pp. 285-290. Ruby, C., Abdelmoula, M., Aissa, R., Medjahdi, G., Brunelli, M., François, M. , 2008, Journal of Solid State Chemistry 181 (9), pp. 2285-2291. Carpentier, J., Siffert, S., Lamonier, J.F., Laversin, H., Aboukaïs, A., 2007, Journal of Porous Materials 14 (1), pp. 103-110. Ribeiro, N.F.P., Henriques, C.A., Schmal, M., 2005, Catalysis Letters 104 (3-4), pp. 111-119. Carja, G., Nakamura, R., Niiyama, H., 2005, Microporous and Mesoporous Materials 83 (1-3), pp. 94-100. Dupin, J.-C., Martinez, H., Guimon, C., Dumitriu, E., Fechete, I., 2004, Applied Clay Science 27 (1-2), pp. 95-106. Valente, J.S., Sánchez-Cantú, M., Lima, E., Figueras, F., 2009, Chemistry of Materials 21 (24), pp. 5809-5818. Helwani, Z., Othman, M.R., Aziz, N., Fernando, W.J.N., Kim, J., 2009, Fuel Processing Technology 90 (12), pp. 1502-1514. Hafiz, M.K., Othman, M.R., Aziz, N., 2009, AIP Conference Proceedings 1136, pp. 454-458. Shibata, J., Murayama, N., Matsumoto, S., 2009, Ceramic Transactions 207, pp. 283-290. Othman, M.R., Helwani, Z., Martunus, Fernando, W.J.N., 2009, Applied Organometallic Chemistry 23 (9), pp. 235-246. Ferreira, K.A., Ribeiro, N.F.P., Souza, M.M.V.M., Schmal, M., 2009, Catalysis Letters 132 (1-2), pp. 58-63. Helwani, Z., Othman, M.R., Aziz, N., Kim, J., Fernando, W.J.N., 2009, Applied Catalysis A: General 363 (1-2), pp. 1-10. Zn-Si LDH, Saber, O., Tagaya, H., 2009, Journal of Porous Materials 16 (1), pp. 81-89. Vulić, T., Hadnadjev, M., Marinković-Nedučin, R., 2008, Journal of Microscopy 232 (3), pp. 634-638. Seftel, E.M., Popovici, E., Mertens, M., Cool, P., Vansant, E.F., 2008, Journal of Optoelectronics and Advanced Materials 10 (12), pp. 3477-3481. Costa, D.G., Rocha, A.B., Souza, W.F., Chiaro, S.S.X., Leitão, A.A., 2008, Journal of Physical Chemistry C 112 (29), pp. 10681-10687. Rojas, R., Ángeles Ulibarri, M., Barriga, C., Rives, V., 2008, Microporous and Mesoporous Materials 112 (1-3), pp. 262-272. Seftel, E.M., Popovici, E., Mertens, M., Van Tendeloo, G., Cool, P., Vansant, E.F., 2008, Microporous and Mesoporous Materials 111 (1-3), pp. 12-17. Saber, O., Tagaya, H., 2008, Materials Chemistry and Physics 108 (2-3), pp. 449-455. Romero, M.D., Calles, J.A., Ocaña, M.A., Gómez, J.M., 2008, Microporous and Mesoporous Materials 111 (1-3), pp. 243-253. Saber, O., 2007, Journal of Materials Science 42 (23), pp. 9905-9912. Shibata, J., Murayama, N., 2006, 2006 TMS Fall Extraction and Processing Division: Sohn International Symposium 5, pp. 339-346. Benito, P., Labajos, F.M., Rocha, J., Rives, V., 2006, Microporous and Mesoporous Materials 94 (1-3), pp. 148-158. Othman, M.R., Rasid, N.M., Fernando, W.J.N., 2006, Microporous and Mesoporous Materials 93 (1-3), pp. 23-28. Vial, S., Prevot, V., Forano, C., 2006, Journal of Physics and Chemistry of Solids 67 (5-6), pp. 1048-1053. Saber, O., 2006, Journal of Colloid and Interface Science 297 (1), pp. 182-189. Carja, G., Niiyama, H., 2005, Materials Letters 59 (24-25), pp. 3078-3080. Saber, O., Tagaya, H., 2005, Reviews on Advanced Materials Science 10 (1), pp. 59-63. Murayama, N., Tanabe, M., Shibata, R., Yamamoto, H., Shibata, J., 2005, Kagaku Kogaku Ronbunshu 31 (4), pp. 285-290. Hussein, M.Z.B., Long, C.W., Zainal, Z., Yahaya, A.H., 2005, Proceedings of SPIE - The International Society for Optical Engineering 5650, art. no. 100, pp. 548-556. Shibata, J., Murayama, N., Tanabe, M., Yamamoto, H., 2005, Kagaku Kogaku Ronbunshu 31 (1), pp. 74-79. Erakovic, S., Veljovic, D., Diouf, P.N., Stevanovic, T., Mitric, M., Milonjic, S., Miskovic-Stankovic, V.B., 2009, International Journal of Chemical Reactor Engineering 7, art. no. A62 . Zhao, Z., Chen, X., Chen, A., Huo, G., Li, H., 2009, Journal of Materials Science 44 (23), pp. 6310-6316.